Holiday Shop Right Here at the 20th Annual Front Porch Art Walk on Sunday, October 7th, 2018 from 12 noon-5pm. Rain or shine. 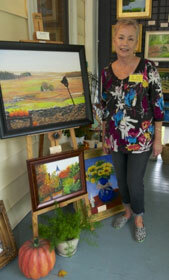 Colonial Place/Riverview’s annual art show is like no other in Hampton Roads. 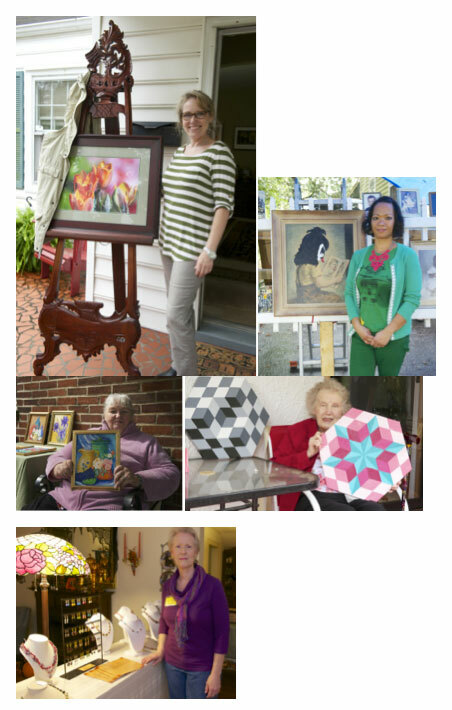 In its 20th year, the event showcases up to 40 resident artists on their front porches throughout Colonial Place and Riverview. The Front Porch Art Walk has grown and changed from its inception in 1998 when artist and CPRV resident Sheila Robinson conceived the idea to highlight local fine artists. It still showcases fine art and encourages participants to visit both neighborhoods on foot, bike, or by car though it’s expanded to include varied crafts–pottery, jewelry, hand-made note cards, masks, knitted creations, decorative items—from fan pulls to hula hoops and upcycled art. It’s free, rain or shine, and open to the public. PLEASE VISIT AND ‘LIKE’ OUR PAGE ON FACEBOOK: CPRV FRONT PORCH ART WALK and see images by this year’s artists, as well as updates on the event.